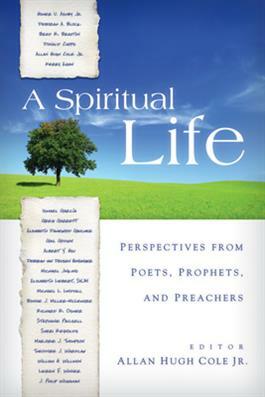 < p>This revealing collection presents a selection of two dozen poets, prophets, and preachers who share their understandings of what makes a "good spiritual life." They draw on their professional experiences and, as important, grace us with their personal thoughts. The result is essentially a textbook for spirituality courses, exposing readers to the spiritual lives of a wonderfully diverse group of people with a wide range of Christian experiences. Every reader is sure to find a perspective with which he or she can identify. To listen to Allan Cole's interview about this book on WJK Radio with Dan and Jana, click here.